Birth is often a very personal and private moment, experienced by the very inner circle and rarely shared. 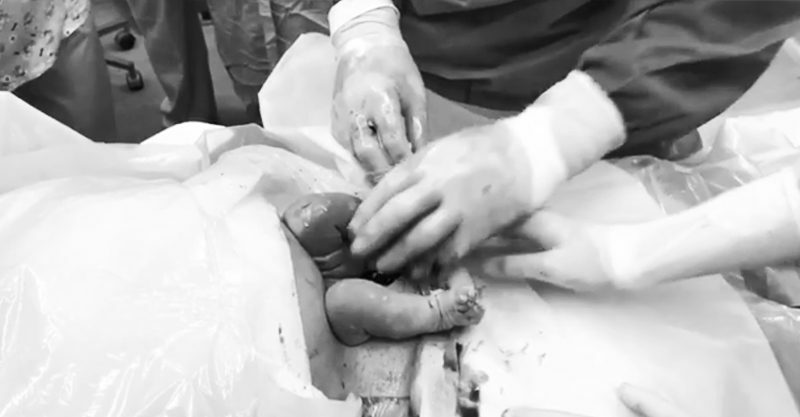 Caesarean births are often particularly out-of-sight. Their surgical nature often provides hurdles to the photographing or videoing of the event, and while we are sometimes lucky enough to witness some still shots of these deliveries, it’s usually a behind-closed-doors affair. Lucky for us, Venezuelan-based OBG/GYN and social media enthusiast, Dr Jham Frank Lugo, is on the case. Dr Lugo works out of CENFER Centro de Fertilidad Clínica Lugo, and he’s keen to demystify the experience of caesareans, and is generally changing things up. Dr Lugo is a dad-of-three himself, and his own father founded the clinic he now runs. Not only is this gent carefully delivering babies via caesarean, he’s capturing the life-changing miracle of these births, so we can learn more about them. Granted, Dr Lugo isn’t filming these amazing arrivals himself – he’s kind of got his hands full – but he’s charged a colleague with the important task – and then shares the results on the Fertilugo Instagram himself. These clips are not only gobsmackingly showing how brave women are, they’re giving us a glimpse into little humans’ first (often feisty) moments in the world. This feet-first delivery particularly caught our eye. Not only is it pretty surreal to see a little foot poking out of a woman’s belly, the footage that follows – of this little one emerging – has to be seen to be believed. While it’s not for the squeamish, obviously, it shows this little pumpkin kicking her legs for the first time, whilst the rest of her is still tucked into mum. She’s then gently turned and eased out into the world. A few squawks are quickly soothed, as she’s bundled up and given to her besotted mum for a cuddle and chat.